Please contact 2234 7328 to make an appointment. 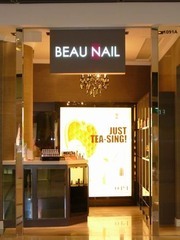 About: Beau, in French, means beautiful, and making our customers feel beautiful is what it is all about at BEAU NAIL. We believe that well-groomed nails is an important part of one’s overall look and to say the least, healthy-looking and attractive hands and feet enhance one’s appearance.